Techies Sphere: How To Integrate vSphere 6.0 With AD ? How To Integrate vSphere 6.0 With AD ? Or, How To Integrate vSphere 6.0 With Active Directory? 1. 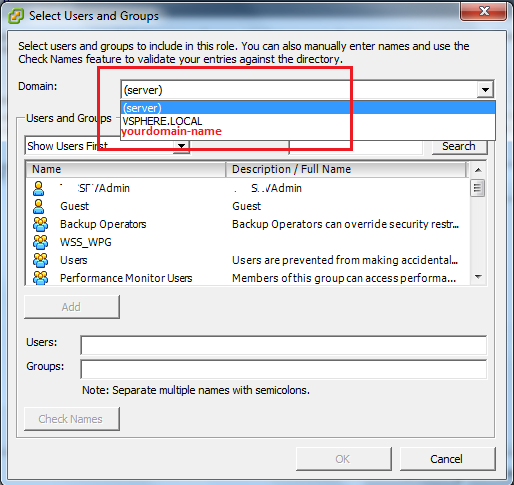 Make sure your vCenter Server is joined in your domain; it should not be part of Workgroup. 2. If it is not already joined in domain, please join it in domain. 6. Wait for this command to be completed. You can verify it now in vCenter vSphere console if the domain name is being highlighted in access rights management section or not.